We know that there has been an Episcopal presence in this valley since about 1842. In 1840, a botanist from New York came through this valley and was struck by its remoteness and natural beauty. On his way back to New York, he stopped in Raleigh and spoke with Bishop Levi Silliman Ives, who at that time oversaw the Diocese of North Carolina, which comprised the entire state. In July 1842, Bishop Ives traveled to this area, held services, and talked to the people he met. He promised to "send them, the moment it should be in my power, a Missionary, who should teach them the rudiments of knowledge, and preach to them the word of God." Legend has it that Bishop Ives saw the image of a St. Andrew’s Cross, in either the two streams in the valley, or in their accompanying mist, and named this valley Valle Crucis, which is Latin for Vale of the Cross. There is also an abbey in Wales that shares the name. During the next few years, Bishop Ives bought about 2,000 acres, much of it with his own money. He started a building project, of which only the Bishop Ives cabin still stands today. Bishop Ives had a dream of starting a monastic order in Valle Crucis - the first monastic order in the Anglican Church since the English Reformation. Bishop Ives bought a large shipment of cattle from Pennsylvania and hired an experienced farmer to run his farm operation, William West Skiles. Mr. Skiles became invaluable to Bishop Ives and the local people. In August 1847, he was ordained as a Deacon and took monastic orders in the Society of the Holy Cross. However, many in the Anglican Church of that time thought that this society was too “Roman,” and forced Bishop Ives to disband his order in 1852. The Bishop then left for Europe, where he resigned as Bishop and converted to Roman Catholicism. Brother Skiles took over the work in the valley and became the doctor, lawyer, farmer, and priest to the people here. He built St. John's Church. He died only four months after its dedication, on December 8, 1862. After his death, much of the church's work came to a halt. It was not until 1895 that Bishop Cheshire came to Valle Crucis to revive the work of the church. The Taylor family, who had bought much of the land from the church, gave him three acres; he built the Mission House and the original Church of the Holy Cross (now Crab Orchard Hall). In 1898, Bishop Junius M. Horner became the new Bishop of the Asheville Diocese. He was known for his belief in education, and he set out to acquire as much of the original Bishop Ives land as he could. 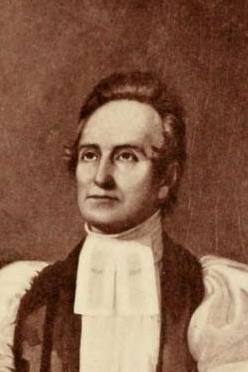 Bishop Ives had owned the land personally and had sold the land when he left North Carolina. Horner purchased 500 acres by 1903. On this 500 acres in the next decade, apple orchards were set out, a herd of registered Holstein cattle was brought in from Ohio to start a dairy, timber was cut, and a saw mill and wagon factory were built. A power plant was constructed to provide power for the new school and surrounding area, with the idea that the new mission school could pay for itself. There were barns built to store apples and to house dairy cattle. Both were two-story structures and are still standing a century later, though the dairy barn is now a wedding venue and meeting space, and the apple storage barn now houses youth groups as the Bunk House. By 1910, new buildings were started upon the hill. The first, known locally as the Auxiliary Hall, was a dormitory, an assembly hall, three classrooms, a dining room and a kitchen. (It burned in 1919, tragically killing a student and a teacher, and was replaced by the Annex on the same spot.) Hugh A. Dobbins was in charge of Valle Crucis. Eighty-two attended Sunday School and ninety-nine students attended the "Agricultural and Industrial School" – 45 girl boarders and 54 boy day students. Classes were from primary through high school and provided training in kitchen, laundry, housework, and weaving for the girls, and farming, blacksmithing, woodworking, and wagon making for the boys. They had a chaplain, a principal, five academic and two industrial teachers. The wonderful Auchmuty Hall, the main three story building with a porch that wraps around three sides, was funded by a generous philanthropist from New York and completed in 1911. The school and all its buildings and land were valued at $45,000 in 1911. In 1925, the church had outgrown its building by the Mission House and money was raised to build a fine stone church on the hill overlooking the valley. Holy Cross Church remains an active and dynamic parish today. In 1934, the National Episcopal Church, suffering from the Great Depression, withdrew its support. In 1936, the school became a girls-only boarding school. It struggled over the next few years and, with teacher shortages and dwindling student support, closed in 1942. In 1940 a big flood swept through the valley, forever changing the streams and the nature of this place. Many buildings were swept away and some lives were lost in this tragic event. Over the next few decades, the school again became a missionary training school. 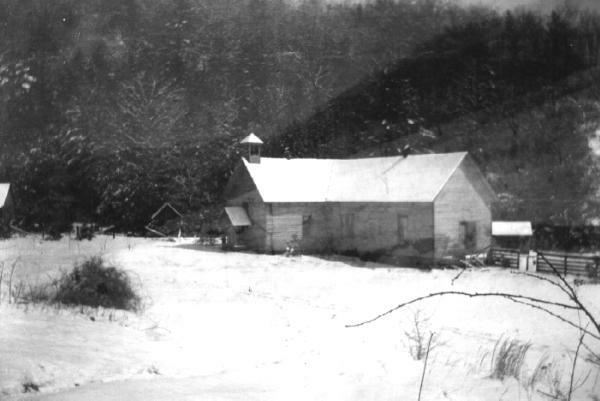 In 1967, most of the apple orchards were cut down and in the 1970's, the Mission School was transformed into the Valle Crucis Conference Center. Today it thrives once again, serving groups of people with common cause. They range from youth groups on skiing trips, to Diocesan events, to vestries, to women's groups, and to many non-profit groups. The symbol for the Valle Crucis Conference Center is a Celtic Cross with the words "deeply rooted on sacred ground" underneath. This symbol reminds us of the cross of Jesus and the circle of life that intertwines all of our being with each other.